I remember first seeing a photo of Bonnie Parker when I was a kid in a Vanity Fair magazine,I loved the look of this woman and I was in awe,perhaps my first glimpse into 1930s fashion. 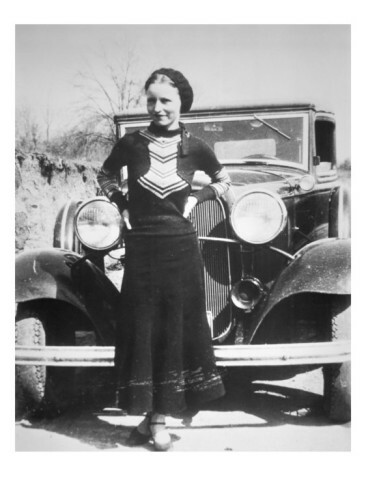 She was tough and portrayed class at the same time,something as a kid I wanted to accomplish eventually,not that the things Bonnie Parker did were considered classy, but she made sure to look that way for photos. If we never had that roll of film found at the joplin apartment I don’t think Bonnie and Clyde would be as memorable as they are today. A Bonnie Parker pose from me. I would always love to drive on old country roads,they seem to be untouched from Mr modern day.